A Teledyne Technologies subsidiary has received a contract extension to provide ground operations support for the International Space Station through NASA‘s Marshall Space Flight Center and Johnson Space Center. The company said Tuesday Teledyne Brown Engineering will continue to help the agency prepare missions, train crew and flight controllers crew and manage spaceflight operations requirements under the extended Mission Operations and Integration service contract. 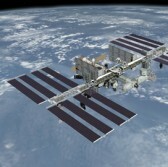 The MO&I program connects the ground operations team and ISS astronauts. Teledyne Brown Engineering has integrated nearly 1,300 science research payloads over the past two decades, trained payload crew, developed procedures and supported global science team through the program. The subsidiary has provided more than 150,000 hours of support to NASA’s ISS payload operations.